To complete your season 7 week 1 challenges you will need to dance at 7 different forbidden locations. 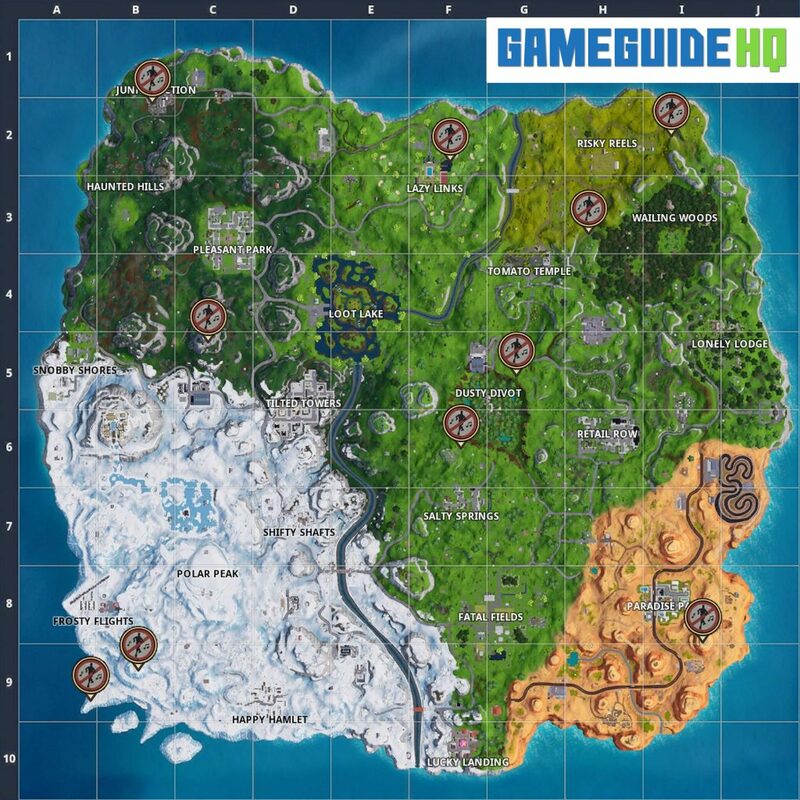 The forbidden locations are scattered across the map and in total there are 10 different forbidden locations. There have been forbidden locations challenges in previous seasons, however, the locations are not the same. By dancing at 7 different forbidden locations you will unlock 5 battle pass stars towards your battle pass. To complete the challenge you need to make sure you have a dance equipped to your player before heading into a match. Once a dance is attached to your emote slot, head to one of the locations on the map below. Once you are there you will find a sign that says no dancing. Go up to the sign, select your dance emote and it should check off 1 of the 7 forbidden locations. Keep in mind you can complete more than 1 forbidden locations each game. You also need to finish each game by either dying or winning for it to count towards your challenges. To complete the rest of your season 7 week 1 challenges take a look at the Season 7 Week 1 Cheat Sheet.